We just wanted to share some of our custom orders that went out this week! 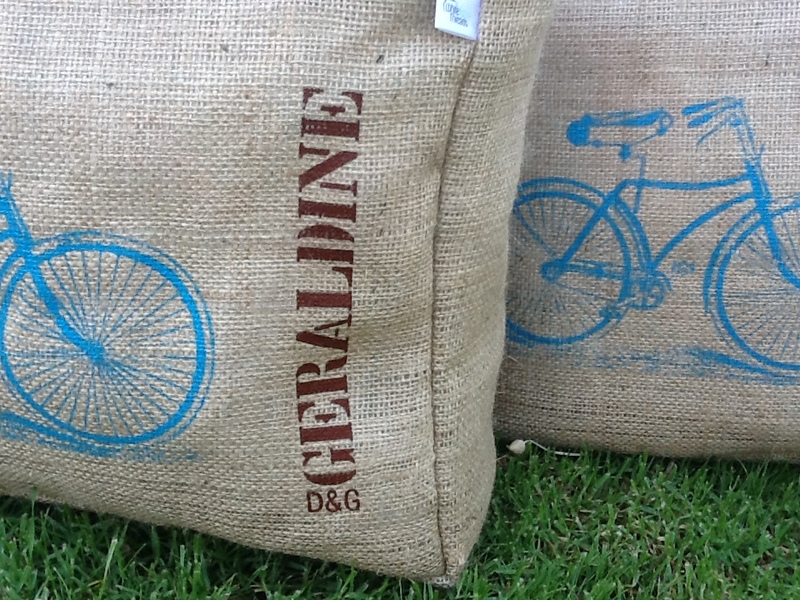 First is a custom two-color print on our eco-friendly canvas tote bags. 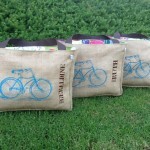 These totes are an affordable option for wedding guests or destination wedding welcome bags. 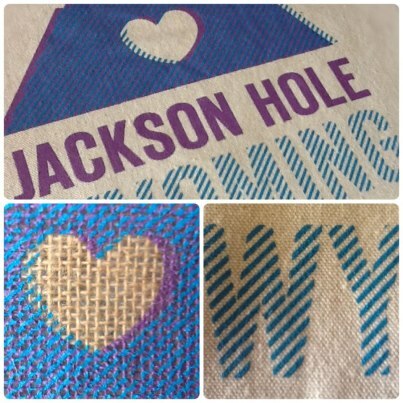 White Apple can easily print your custom design, or even photos on our eco canvas totes. 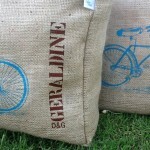 Next we have our Market Tote – handmade from a recycled coffee sack . 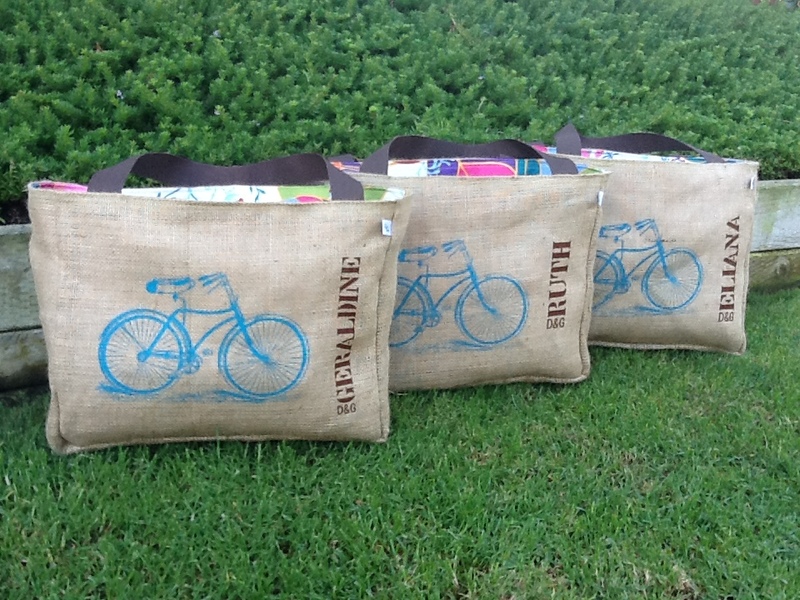 These custom burlap totes were printed with a White Apple original bicycle design and then personalized for the customer. Personalization is the perfect option when ordering your bridesmaids or groomsmen a one-of-a-kind gift. This entry was posted in Custom, Products. Bookmark the permalink. Hello there! This post couldn’t be written any better! Reading this post reminds me of my previous room mate! He always kept chatting about this. I will forward this write-up to him. Fairly certain he will have a good read. Many thanks for sharing!